Victor Arthur Kilian (March 6, 1891 – March 11, 1979) was an American actor who was blacklisted by the Hollywood movie studio bosses in the 1950s. Born in Jersey City, New Jersey, Victor Kilian began his career in entertainment at the age of eighteen by joining a vaudeville company. In the mid-1920s he began to perform in Broadway plays and by the end of the decade had made his debut in motion pictures. For the next two decades he made a good living as a character actor in secondary or minor roles in films such as The Adventures of Tom Sawyer (1938). He was frequently cast as a villain. While staging a fight scene with John Wayne for a 1942 film, Kilian suffered a serious injury that resulted in the loss of one eye. Free Acres is an unincorporated community located along the border of Berkeley Heights in Union County and Watchung in Somerset County, in New Jersey, United States. Free Acres was created in 1910 as a social experiment by Bolton Hall, an Irish-born New York entrepreneur, reformer and follower of Leo Tolstoy. Hall believed in the idea of economist Henry George of single taxation, under which residents pay a land value tax to the community based on the value of the land alone, and in turn, the community pays a lump sum to the municipality. Bolton Hall was an American lawyer, author, and Georgist activist who worked on behalf of the poor and starting the back-to-the-land movement in the United States at the beginning of the 20th century. Berkeley Heights is a township in Union County, New Jersey, United States. As of the 2010 United States Census, the township's population was 13,183, reflecting a decline of 224 (-1.7%) from the 13,407 counted in the 2000 Census, which had in turn increased by 1,427 (+11.9%) from the 11,980 counted in the 1990 Census. 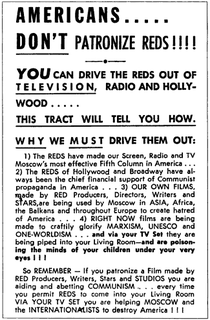 During the McCarthyism of the 1950s, Kilian was blacklisted for his political beliefs but because the Actors' Equity Association refused to go along with the ban, Kilian was able to earn a living by returning to perform on stage. After Hollywood's blacklisting ended, he began doing guest roles on television series during the 1970s. He is best known for his role as Grandpa Larkin (aka The Fernwood Flasher) in the television soap opera spoof Mary Hartman, Mary Hartman (1976). Kilian's wife, Daisy Johnson, to whom he had been married for 46 years, died in 1961. The Actors' Equity Association (AEA), commonly referred to as Actors' Equity or simply Equity, is an American labor union representing the world of live theatrical performance, as opposed to film and television performance. However, performers appearing on live stage productions without a book or through-storyline may be represented by the American Guild of Variety Artists (AGVA). As of 2010, Equity represented over 49,000 theatre artists and stage managers. Mary Hartman, Mary Hartman is an American satirical soap opera that aired in daily (weekday) syndication from January 1976 to May 1977. The series was produced by Norman Lear, directed by Joan Darling, Jim Drake, Nessa Hyams, and Giovanna Nigro, and starred Louise Lasser. The series writers were Gail Parent and Ann Marcus. 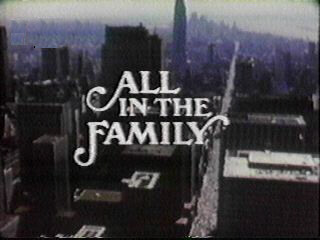 In 1979, Kilian appeared in an episode of All in the Family , "The Return of Stephanie's Father", portraying a desk clerk in a seedy hotel. In the same episode fellow veteran Hollywood character actor Charles Wagenheim (1896-1979) appeared as a ‘bum’ in the hotel’s lobby. Just weeks before the episode aired, on March 6, 1979 (Kilian’s birthday), the 83 year-old Wagenheim was bludgeoned to death in his Hollywood apartment after he was surprised coming home from grocery shopping during an act of robbery. Five days later, on March 11, 1979, Kilian, who lived alone in Hollywood just blocks from Wagenheim, was also beaten to death by burglars in his apartment. On March 20, 1979, All in the Family posthumously aired the episode "The Return of Stephanie's Father", with Wagenheim’s and Kilian’s last screen performances. Victor Kilian's cremated remains were scattered in the rose garden at Westwood Village Memorial Park Cemetery. John Rummel Hamilton was an American actor, who played in many movies and television programs. He is probably remembered best for his role as the blustery newspaper editor Perry White in the 1950s television program Adventures of Superman. Richard Damon Elliott was an American character actor who played in over 240 films from the 1930s until the time of his death. Georges Renavent was a French-American actor in film, Broadway plays and operator of American Grand Guignol. He was born in Paris, France. In 1914, he immigrated to the United States, crossing the frontier between Canada and Vermont. Hobart Cavanaugh was an American character actor in films and on stage. Cyrus Willard Kendall was an American film actor. He appeared in more than 140 films between 1935 and 1950. Kendall's heavy-set, square-jawed appearance and deep voice were perfect for wiseguy roles such as policemen and police chiefs, wardens, military officers, bartenders, reporters, and mobsters. He was born in St. Louis, Missouri and died in Woodland Hills, California. Olin Ross Howland was an American film and theatre actor. Hector William "Harry" Cording was a British character actor. William Benedict was an American actor, perhaps best known for playing "Whitey" in Monogram Pictures' The Bowery Boys series. James Millican was an American actor with over 200 film appearances mostly in western movies. Edward Keane was an American film actor. He appeared in more than 300 films between 1921 and 1955. Ray Walker was an American actor, born Warren Reynolds Walker in Newark, New Jersey, who starred in Baby Take a Bow (1934), Hideaway Girl (1936), The Dark Hour (1936), The Unknown Guest (1943) and It's A Wonderful Life (1946). ↑ Buchan, Perdita. "Utopia, NJ", New Jersey Monthly , February 7, 2008. Accessed February 27, 2011. "Free Acres had some famous residents in those heady early days: actors James Cagney and Jersey City–born Victor Kilian, writers Thorne Smith (Topper) and MacKinlay Kantor (Andersonville), and anarchist Harry Kelly, who helped found the Ferrer Modern School, centerpiece of the anarchist colony at Stelton in present-day Piscataway."